I have been lucky enough to receive an ecopy of Death Dealer as part of a book tour hosted by IMR Blog Tours,which does in no way reflect my opinion of the book. 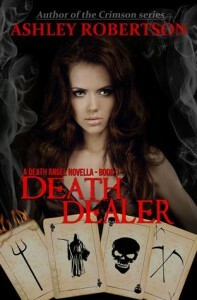 Death Dealer is only 140 pages so like with all novella's I'll try not to give too much away. What I first noted and loved throughout the whole of the book was the world building, because whilst it's set on Earth as we know it, the characters spend a lot of their time in the Spirit Realm which is obviously something we have no knowledge of. I love the description for this world, the dangers it held and how spirits reacted to being here. 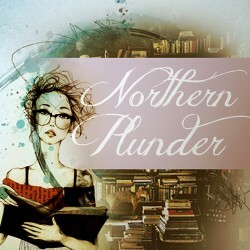 Review first posted at Northern Plunder. Also I really loved the whole concept of Death Dealers, they're regular people like you and I who are approached to become a Death Dealer who after training is allowed to collect the souls of the dead, transport them to the Spirit Realm and guide them to the correct gate - Heaven or Hell - but of course its not always that easy, some spirits aren't happy with the decision and well there are other dangers in the Spirit Realm. Demons attack Mia and Deacon at every opportunity in the Spirit Realm and this is great because not only is it interesting to see how the spirits react but also to see them fighting, I love fight scenes especially when the fighter *cough*Deacon*cough* has to prioritise his fighting over checking that someone *cough*Mia*cough* is okay - his internal struggle was lovely. The only thing I didn't like about this book was some of the "romancy-er" (I know this isn't a word) scenes were at really awkward times, like you know over the dead body of a murderer. It just felt a little out of place. But seeing their relationship grow - at none awkward times - was great. I just wish characters weren't as oblivious to their own feelings. I'm looking forward to the sequel, now that their relationship has been established there shouldn't be any of that awkward "why do I feel this way?" and we got a teaser of Blood Promise (A Death Angel Novella #2) at the end of the book which was a nice way to make us eager.